Stateside Associates Blog | Regular updates on a variety of state and local government relations topics. Regular updates on a variety of state and local government relations topics. Attention: New Stateside Blogs are Found Elsewhere! (2) Click the “Read the Full Post” link on any email notification of a new blog. Thank you for your continued readership and we apologize for any inconvenience this may cause. Insider Dealing – A Government Relations Necessity? I recently participated in a client’s government relations off-site retreat, and part of that meeting was devoted to developing the key issues on which the government relations team should be working. 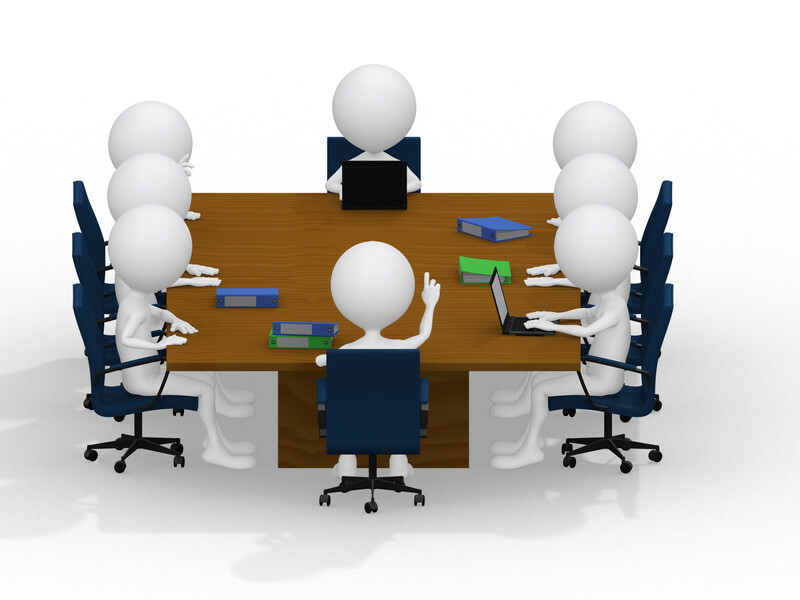 But unlike many companies where a team might kick issues around and decide what was most important, this team was working on an outreach plan to meet individually with many of the company’s senior management to discuss what was important to each business unit. This is an excellent approach to corporate government relations for two reasons. As Stateside President Connie Campanella proffered in her blog post on the subject, “No Client, No Issue,” if you do not have an internal business unit that cares about an issue, you have no business working on that issue. That doesn’t mean you should wait for them to ask you to work on an issue. Quite the contrary: It is YOUR job to understand their business well enough to identify emerging issues and take them to your internal customers for evaluation and development of a business case for political engagement. Second, simply building internal relationships is a critical component to the long-term success of your government relations program. If you do not want to be perceived as simply a “cost center” for your company, you need to invest time in internal relationship building. Just as you spend time building relationships with state and local officials at Groups meetings and statehouse visits, you need to do so internally to be seen as a partner and someone who can be trusted to support the business. If you are not, your program will always be at risk. The meetings our “retreat” client is scheduling with senior corporate executives will afford the government relations team an opportunity to brief about current government relations activities while learning more about the business unit issues. The discussion could include explaining the assets that government relations brings to the table, such as how Groups are used to extend the reach of the program and spotlight emerging issues. As we all know, corporate leadership has a fiduciary responsibility to the shareholders, so you need to make sure they see that the government relations team understands and appreciates that obligation. While it is not always possible for every policy, if you can assign a dollar value to any issue you work on, you can demonstrate that you speak their language. It also has the benefit of giving you an additional data point when you are prioritizing the issues. Again, the key is aligning your work to the goals of the business. Finally, now is the time that most of our corporate and association clients begin working on next year’s budget in earnest. While it might be nice to decompress after a summer of Groups meetings, this is the time to talk to those with profit and loss responsibility in your company and make sure you are working on the issues important to them. As they see the value you bring, it becomes easier to get budget increases when you can clearly demonstrate the P/L impact of your work. So make sure you have an internal plan to reach out to your internal customers. You’re spending the summer (and the rest of year) attending Groups meetings to build and maintain relationships with elected officials across the country to advance your company’s agenda. Make sure you actually know what that agenda needs to be. Steve Arthur is Vice President and brings more than 20 years of public policy experience in both the public and private sector to his work at Stateside Associates. Mr. Arthur provides clients with hands on state government relations support from strategic planning and issue management to lobbyist management and direct lobbying. He is one of the leaders of Stateside’s Attorneys General practice, guiding clients through the process of working with, and lobbying, state Attorneys General. Will These Governors Survive the Midterm Elections? It has been a little over a month since the last round of gubernatorial primary elections and some of the biggest question marks in 2014 are finally reaching the primary election milestone this year. Six races with August primaries are listed below and in every race a governor is defending his incumbency for a second term in office. Additionally, in every race below at least one source rates the race as a toss-up this year. The one August primary to watch closely is the Hawaii primary on August 9: Governor Neil Abercrombie (D) may be the only governor to lose in a primary race this year. In addition, pending the results of the August primaries, Hawaii and Connecticut are potential rematches from 2010; and if former State Representative Jonathan Pelto (I) qualifies for the ballot in Connecticut, both races feature an independent candidate whose presence could impact the outcome of the already-competitive elections. For more news about the races, chart listings of the gubernatorial candidates and more information, check out http://2014governorsraces.com. Governor Dan Malloy (D) is seeking re-election to a second term and is unchallenged for the Democratic nomination. State Senate Minority Leader John McKinney (R) and former Ambassador Tom Foley (R) are competing for the Republican Party nomination. In addition, former State Representative Jonathan Pelto (I) is running as an independent; he is formerly a Democrat. If Tom Foley wins the party nomination, the race will be a rematch from the 2010 gubernatorial election. The overall outlook for this race from major ratings outfits is a toss-up. Larry Sabato at the University of Virginia Center for Politics (Sabato’s Crystal Ball, now in partnership with Politico) and Real Clear Politics rate this race as a toss-up. FiveThirtyEight forecast the odds of the race in favor of the Republican nominee, while the Cook Political Report and the Rothenberg Political Report view this contest as leaning Democrat. Furthermore, if Jonathan Pelto qualifies for the ballot as an independent, he adds another variable to the race as a candidate that could draw away votes – particularly Democratic votes (as a former Democrat) – from the other candidates. There are two polls to draw data from in recent months – one released by Quinnipiac University in May and a new poll (as part of a nationwide series) released this past weekend by YouGov (in partnership with CBS News and the New York Times). The YouGov poll does not utilize traditional polling methods – the polls were conducted online and do not utilize probability sampling (meaning a random sample representative of the general population) – and does not have a margin of error. That said, if it is an indicator of the race, Tom Foley possesses a clear advantage. In addition, the Quinnipiac survey was published before most of the Republican primary candidates withdrew from the race. The two existing general election scenarios appeared as competitive races in the May Quinnipiac poll. In a repeat general election match between Governor Malloy and Tom Foley, the two tied at 43%. In a race between Governor Malloy and John McKinney, Governor Malloy maintained a four-point advantage at 44% to 40%. The margin of error for the poll is +/- 2.4%. YouGov reported a completely different picture after the span of a few months: Tom Foley held a nine-point advantage over Governor Malloy at 42% versus 33% for outright voters, although the distance narrows to 48% versus 41% respectively when respondents leaning toward a particular candidate are factored in. Governor Dan Malloy held the high ground in campaign funds in the last campaign finance report in June, in part due to public financing. Governor Malloy, State Senator McKinney and former Ambassador Foley committed to and qualified for public financing, but Governor Malloy was the only candidate to receive his funds in the reporting period. State Senator McKinney and former Ambassador Foley had to wait until July to receive their funds and received $1.35 million. In addition, since Governor Malloy is not challenged for the party nomination, he will only receive one round of financing; the Republican nominee will receive a second round for the general election. Governor Malloy concluded the reporting period with $6,364,628 in cash on hand; Tom Foley ended with $17,062 in cash on hand; John McKinney finished with $18,300 in cash on hand; and former State Representative Jonathan Pelto raised $7,235 and ended June with $7,177 in cash on hand. The Connecticut primary election will be held on August 12. Governor Rick Scott (R) is seeking re-election to a second term. He is contested by Yinka Adeshina (R) and Elizabeth Cuevas-Neunder (R) for the Republican Party nomination. Former Governor Charlie Crist (D) and former State Senate Minority Leader Nan Rich (D) are competing for the Democratic Party nomination. Real Clear Politics, Sabato’s Crystal Ball, the Rothenberg Political Report, the Cook Political Report and FiveThirtyEight all view this race as a toss-up. This is also indicated by polling data for the past few months as Governor Scott and former Governor Crist poll close to one another and oscillate back and forth between leads. Four polls published in July are perfect examples of this – two conducted by SurveyUSA, one by Quinnipiac University and the YouGov online survey mentioned above. On July 9, SurveyUSA reported 45% of respondents supported Governor Rick Scott and 43% preferred Charlie Crist; thirteen days later, the trend reversed in another SurveyUSA poll and Charlie Crist moved up to a six-point advantage at 46% versus 40%. A day later, Quinnipiac University published its results and indicated Charlie Crist held a five-point advantage at 45% versus 40%. Finally, the data by YouGov run against these findings: Governor Scott polled at 43% and Charlie Crist at 38% with respondents who intend to vote for the candidates. The five-point advantage remains in place when respondents who lean toward a candidate are factored in, as 48% of respondents support Governor Scott and 43% back former Governor Charlie Crist. Both SurveyUSA polls have a margin of error of +/- 4.2%; Quinnipiac University’s survey has a margin of error of +/- 2.8%; and the YouGov poll does not have a margin of error since it was conducted online. In the reporting period of July 12 through July 18, Governor Rick Scott raised $200,696 and his independent political committee Let’s Get to Work raised $21,000. Charlie Crist raised $192,446 and his independent political committee Charlie Crist for Florida raised $221,600. Finally, Nan Rich raised $12,097, while her independent political committee Citizens for a Progressive Florida PC did not report funds and filed for a waiver. The Florida primary election will be held on August 26. Governor Neil Abercrombie (D) is seeking re-election to a second term. He is challenged by State Senator David Ige (D) and Van Tanabe (D) for the Democratic Party nomination. Former Lieutenant Governor James “Duke” Aiona (R), Charles Collins (R) and Stuart Gregory are seeking the Republican Party nomination. In addition, former Honolulu Mayor Mufi Hannemann (I), a 2010 Democratic primary candidate, is running for governor as an independent. If Governor Abercrombie and former Lieutenant Governor Aiona win their respective party nominations, the race will be a rematch from the 2010 gubernatorial election. The average of the ratings for this race is leaning Democrat, although Governor Abercrombie may not win the Democratic nomination. Sabato’s Crystal Ball, the Rothenberg Political Report and the Cook Political Report view this race as leaning Democrat, while Real Clear Politics rates it as a toss-up. A slightly different picture emerged from the June Honolulu Civil Beat Poll, where Duke Aiona polled either favorably or competitively in the two general election scenarios. State Senator David Ige held a clear advantage over Governor Abercrombie at 48% versus 37% in the Democratic primary election. In the two likely general election scenarios, former Lieutenant Governor Duke Aiona held a six-point advantage over Governor Abercrombie (33% versus 27%) and tied with State Senator Ige (31%). In both scenarios more than a fifth of respondents were undecided and former Honolulu Mayor Mufi Hannemann attracted more than 15% of support. The poll has an overall margin of error of +/- 3%, while the subset of Democratic primary voters has a margin of error of +/- 3.6%. Finally, the YouGov online survey questioned respondents about a rematch between former Lieutenant Governor Duke Aiona and Governor Abercrombie. The poll reported 37% of respondents supported Duke Aiona, while 34% backed Governor Abercrombie. When the respondents who lean toward a candidate are factored in, both candidates receive a three percent boost in support. The poll has a margin of error of +/- 3%. Governor Neil Abercrombie raised the most funds in the first half of the year and held the largest amount of cash on hand in the mid-year (January 1 – June 30) campaign finance reports. He also spent more ($2,051,369) than the sum of his opponents’ fundraising totals. Governor Abercrombie raised $885,601 and ended the period with $1,042,582 in cash on hand; State Senator David Ige raised $242,724 and concluded with $92,004 in cash on hand; former Lieutenant Governor Duke Aiona raised $360,902 and finished with $203,489 in cash on hand; and former Honolulu Mayor Mufi Hannemann raised $159,000 and ended with $167,842 in cash on hand. The Hawaii primary election will be held on August 9. Governor Sam Brownback (R) is seeking re-election to a second term. He is contested by Jennifer Winn (R) for the Republican Party nomination. State House Minority Leader Paul Davis (D) is uncontested for the Democratic Party nomination. The overall outlook for this race is leaning Republican, though it might be closer to a toss-up. FiveThirtyEight, the Rothenberg Political Report and Sabato’s Crystal Ball forecast this race in favor of the Republican Party. The Cook Political Report and Real Clear Politics disagree, rating this contest as a toss-up. In addition, a large number of current and former Republican officials recently crossed party lines and endorsed Paul Davis. Furthermore, recent polls reflect a change in public sentiment, as Paul Davis and his running mate Jill Docking (D) are ahead of Governor Brownback and Lieutenant Governor Jeff Colyer (R) in the polls. Two SurveyUSA polls, conducted for KSN-TV in June and July, reported a six- and an eight-point advantage respectively for the Davis-Docking ticket. In June, Davis and Docking polled at 47% versus Brownback and Colyer’s 41%, while in July the gap widened to 48% versus 40% respectively. The margin of error for the June poll is +/- 3.1% and the margin of error for the July poll is +/- 2.9%. The recent YouGov online survey runs against these figures, as the data places Governor Sam Brownback in a solid lead. The poll reported 47% of respondents preferred Governor Brownback, compared to 37% for State House Minority Leader Davis. When the respondents who lean toward a candidate are factored in, Governor Brownback receives a five percent boost in support, while Paul Davis receives a three percent boost in support. Campaign finance reports, which cover January 1 through July 24, were recently due. State Representative Paul Davis raised $1,121,980 and ended the period with $1,324,702 in cash on hand. Jennifer Winn raised $13,596 and ended the period with $338 in cash on hand. Governor Sam Brownback raised $1,244,282 and ended the period with $2,365,373 in cash on hand. The Kansas primary election will be held on August 5. Governor Rick Snyder (R) is seeking re-election to a second term. He is challenged by former Congressman Mark Schauer (D). Both individuals are uncontested for their respective party nominations. The race ratings for the Michigan gubernatorial race vary. 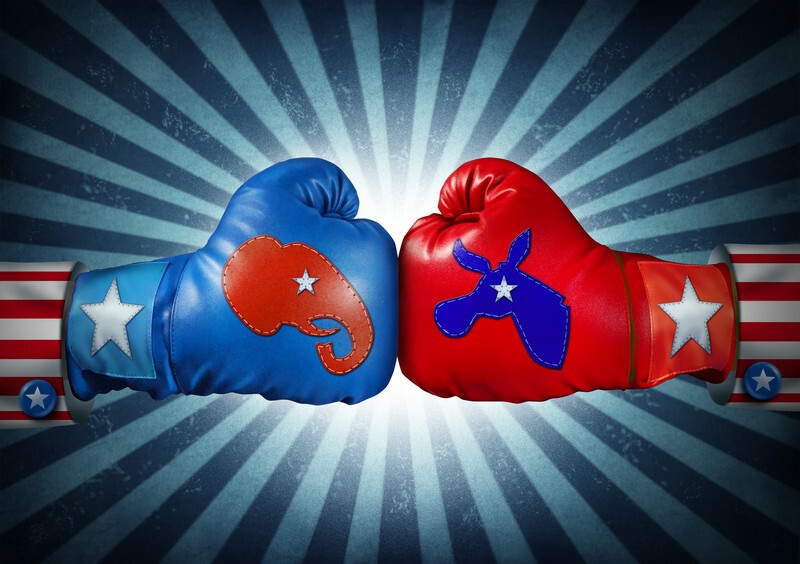 The Cook Political Report and Real Clear Politics view this race as a toss-up, while the Rothenberg Political Report leaves open the possibility of a toss-up with slight favorability toward the Republican Party. Sabato’s Crystal Ball describes the outcome as leaning Republican, while FiveThirtyEight forecast the contest with odds heavily in favor of the Republican Party. The polling data for July shows Governor Snyder has a close lead over former Congressman Mark Schauer. Mark Schauer tied with Governor Snyder at 40% in Public Policy Polling’s (PPP) survey conducted at the end of June and published on July 1. The poll has a margin of error of +/- 4.1%. The mid-July polls released by Vanguard Public Affairs / Denno Research and NBC News / Marist showed Governor Snyder with varying leads. Vanguard Public Affairs revealed 45% of respondents supported Governor Snyder and 35% backed Mark Schauer, with a margin of error of +/- 4%. The NBC News / Marist poll uncovered a much smaller advantage, as 46% of registered voters preferred Governor Snyder and 44% picked former Congressman Schauer, with a margin of error of +/- 3.3%. Epic-MRA’s poll, conducted for the Detroit Free Press and WXYZ-TV and published on July 17, indicated a three-point advantage for Governor Rick Snyder at 46% versus 43%. This poll has a margin of error of +/- 4%. Lastly, YouGov’s online survey showed 42% of respondents back Governor Snyder, compared to 39% of respondents who support Mark Schauer. If respondents who lean toward a candidate are factored in, both candidates receive a four percent boost in support. The campaign finance reports for the first half of the year were due last week. Governor Rick Snyder holds the advantage in funds; he raised $3.3 million and possesses more than $4.6 million in cash on hand. Mark Schauer raised $1.8 million and received $990,000 in public financing; in addition, he possesses more than $2.4 million in cash on hand. The Michigan primary election will be held on August 5. Governor Scott Walker (R) is seeking re-election to a second term. He is challenged by State Representative Brett Hulsey (D) and former Wisconsin Secretary of Commerce Mary Burke (D) who are seeking the Democratic Party nomination. Governor Walker is uncontested for the Republican Party nomination. The ratings for the Wisconsin gubernatorial race vary. The Cook Political Report and Real Clear Politics view this race as a toss-up, while the Rothenberg Political Report rates it as leaning Republican. Sabato’s Crystal Ball describes the outcome as likely Republican, while FiveThirtyEight forecast the race with odds heavily in favor of the Republican Party. Despite the majority of these predictions, the data in the latest poll from Marquette University Law School indicates a competitive race. Governor Walker held a single-point advantage to Mary Burke at 47% versus 46%, with a margin of error of +/- 3.5%. However, when the results of the poll were narrowed to likely voters in the general election, the results flipped to a single-point advantage in favor of Mary Burke at 47% versus 46%, with a margin of error of +/- 4.3%. The poll did not question respondents about State Representative Brett Hulsey. In the YouGov online survey, 46% of respondents picked Governor Walker, while 43% chose Mary Burke. If respondents who lean toward a candidate are accounted for, Governor Walker receives a one percent boost in support and Mary Burke receives a three percent boost in support, leaving Governor Walker with a one-point advantage. Campaign finance reports were due for the campaigns on July 21 and covered January 1 through June 30. Governor Scott Walker held the cash advantage for the general election, while Mary Burke held the cash advantage for the Democratic primary election. State Representative Brett Hulsey raised $2,488 and concluded the period with $946 in cash on hand; Mary Burke raised $3,649,307 and concluded the period with $2,556,644 in cash on hand; and Governor Scott Walker raised $8,292,465 and concluded the period with $7,596,484 in cash on hand. The Wisconsin primary election will be held on August 12. Nick Blazer is Manager of Social Media Services and the 2014 Elections Project. Like Stateside Associates on Facebook!